Insurance policies and the various lines of insurance coverage available to policyholders can be confusing. It is a matter of great importance to understand one’s risks and the additional ways to stay protected in regard to a liability situation. This is where an umbrella coverage is beneficial to many — not only homeowners, but also to automobile drivers, and those owning a boats, rv’s and snowmobiles. 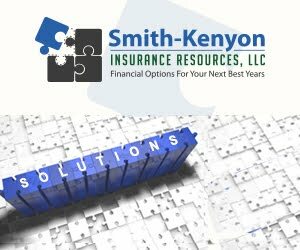 The professionals at Smith-Kenyon Insurance Resources, LLC can answer any and all questions related to liability coverage and why having an umbrella policy in place makes sense. Keep reading to understand more about the ins and outs of umbrella coverage. What Does an Insurance Umbrella Cover? Basically an umbrella policy will protect a person’s finances and assets, most often in the event of a lawsuit or high-costing liability claim. The majority of standard homeowner’s insurance policies have a liability limit of $100,000. This six figure amount sounds like a lot, but can diminish quickly if a policyholder is found responsible for an accident that results in high medical expenses and court ordered settlements. Once the liability limit is met, there is no longer any insurance money available. If all of the costs have not been covered, than a policyholder must look to finish paying off the settlement and expenses from their own pocket and/or assets, such as a person’s house or automobiles. Umbrella coverage can raise a policy’s liability limit to a number that keeps the policyholder and his or her family members adequately protected. When determining the correct liability limit it is important to talk to knowledgeable people, such as those working at Smith-Kenyon Insurance Resources, LLC. Their professionals can help a policyholder evaluate all of their assets and determine a liability limit that will safeguard them in the event of an insurance claim. Umbrella coverage is important for homeowners, and also for those owning: automobiles, boats, snowmobiles, motorcycles, water crafts, and RV’s. Any vehicle that involves a driver and the potential to transport others has an element of risk that cannot be ignored. Traffic mishaps and crash collisions happen all too often, so it is vital to stay protected. You run a red light and a Yukon Denali SUV rolls to avoid hitting you? You looked away briefly and left the road striking a building? You collide into the back of a firetruck or city bus? A bicycle veers out into the road and to avoid it you strike a pedestrian. Unfortunately you were speeding at the time? There are a variety of scenarios or situations where having an umbrella policy, with an increased liability limit, would be necessary and beneficial. If a neighbor or friend is attending a policyholder’s backyard BBQ and is injured from a slip, trip, or fall…the property owner could be responsible. Even if the fall was an unforeseen accident, there is still liability potentially owed. The property owner could end up being on the hook for all of the medical costs associated with the slip/trip/fall. If the injury is significant or causes long-lasting pain, then a lawsuit could ensue and involve court costs and lawyer fees. Another situation that would benefit from having an umbrella policy would be for pet owners. If a homeowner’s dog bites a person trespassing on his or her property, the homeowner can be at fault. This means he or she is responsible for paying the hospital bills stemming from the dog bite. Despite the trespasser being on-site, without permission, the homeowner is still typically at fault and responsible for medical expenses and settlements. An umbrella policy offers monetary assistance, and also help in the form of legal counsel and settlement negotiation. It is important to understand one’s liability risks. It is even more important to talk with Smith-Kenyon Insurance Resources, LLC in order to keep liability limits high enough for a person to always feel adequately protected at all times. Ready for a better insurance experience?